A flurry of new projects in Trinidad and Tobago brings jobs, and validation. 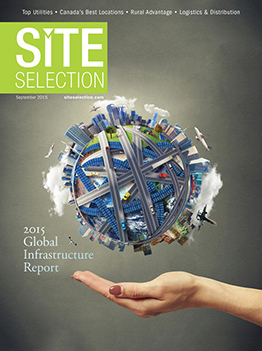 In many ways, a corporate site selection is like a treasure hunt. There’s the excitement and anticipation of following leads and the frustration of running up on dead ends. The hope is that, at the end of the hunt, there’s a treasure chest where X marked the spot. For iQor, a global business solutions company already in 17 countries, Trinidad was the treasure. The company is counting on that highly-touted workforce to staff iQor’s new call center located in Wallerfield’s 1,100 acre Tamana InTech Park (TIP), the largest science and technology eco-business park in the Caribbean. The $4 million investment will create 300 jobs initially, expanding to more than 750 in the next two years. At just over 23 miles from Port-of-Spain, and little more than 10 miles from Piarco International Airport, TIP was as strategic a choice for iQor as the decision to locate in Trinidad. And iQor isn’t the only investment to land in Trinidad and Tobago recently. In August, global retail giant Unicomer broke ground on what will be a $60 million complex that will house the company’s regional office, T&T headquarters, a 240,000 sq. ft. distribution center, technical service center and a Courts Mega store. Founded in 2000, rapidly expanding Unicomer Group is made up a several retail chains including La Curacao, Tropigas and Lucky Dollar. The company is the market leader in 18 of the 19 countries where it operates. The project in Trinidad expects to create hundreds of new jobs and a sizable economic impact. More than $52 million has been invested and 160-plus jobs created in the country’s maritime industry in the past three years by Oldendorff Carriers, a German company specializing in bulk shipping that operates about 400 ships worldwide. Oldendorff brings iron ore from Brazil to a transshipment site in Trinidad where a shuttle service moves the ore to larger oceangoing vessels usually headed for China or the Arabian Gulf. The company expects to add an additional 50 jobs by the end of 2015. Oldendorff Carriers, a global transshipment company, has invested more than $52 million in Trinidad and Tobago since 2012. This past July, Oldendorff Carriers Trinidad and Tobago Ltd. signed an agreement, partnering with the University of Trinidad and Tobago’s (UTT) Maritime Programme to create an exciting workforce education initiative. The agreement allows select cadets to serve onboard Oldendorff ships for six months while at sea. “When a major global entity like Oldendorff supports the maritime education program at UTT, it demonstrates the quality of our program and the potential of our cadets,” says Dr. Phil Anderson, professor of Maritime Programmes at UTT. “It provides future employment opportunities for the cadets as well.” The internship initiative gives cadets the opportunity to gain valuable experience at sea, a requirement prior to taking final exams and a qualification of receiving an officer’s commission. Thirty cadets are currently enrolled in the UTT program. The internships with Oldendorff began in July. Peterson, a fourth-party logistics company with locations around the globe, recognized the value of locating in T&T. The new company provides logistical services — everything from operations and material management to transportation planning — to clients primarily in the oil and gas sector. The country has crazy good competitive advantages. T&T is situated off the northeast coast of South America, safely below the hurricane belt. In addition to excellent tax incentives and fantastic telecommunications infrastructure, T&T boasts one of the lowest energy costs worldwide and low labor costs with average annual salary of $14,000 to $18,000, according to the World Economic Forum (WEF). The WEF also ranked T&T no. 25 out of 148 countries for investor protection laws and no. 12 for financial market development. The movement of foreign direct investment (FDI) into T&T is bucking the trends for much of Latin America and the Caribbean, according to the United Nations Conference on Trade and Development’s (UNCTAD) 2015 World Investment Report. The report shows that while there was an overall 14 percent decrease of FDI into the region, T&T experienced a 21 percent increase in FDI inflows in 2014. In its brief two year history, InvesTT has earned a reputation for being an IPA companies want to work with. In addition to being named a Location of the Future by Site Selection in the July 2015 issue, the IPA was named one of the magazine’s Best to Invest Top Agencies for 2014 (May 2015). InvesTT was also ranked in the top 20 percent of best IPAs in the world by the GIPB/World Bank Report in 2013. But it’s the clients who know best. This Investment Profile was prepared in collaboration with InvesTT. For more information on InvesTT, visit the website at www.investt.co.tt or call +1 868 225-5819.